A colorful accent wall is a great way to add a dramatic touch to a room. 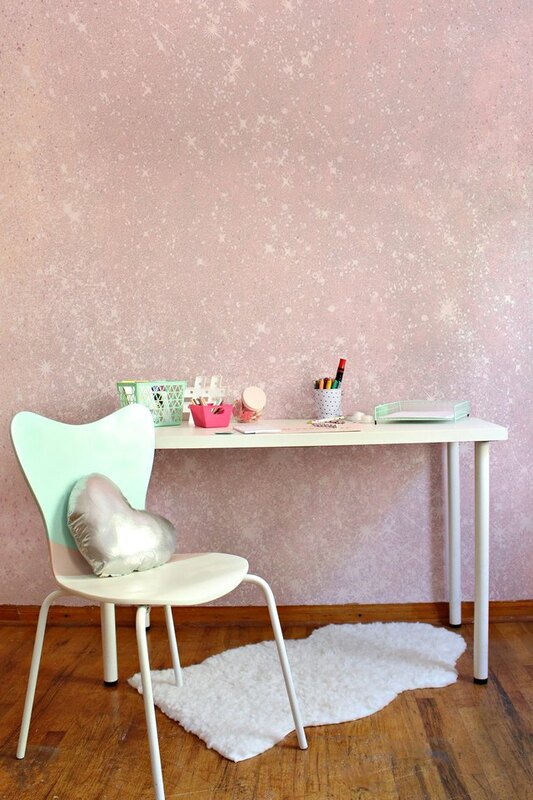 And while a graphic print or a complementary shade of paint would do the trick, why not take it one step further and add a fun coat of glitter to your wall? Using a do-it-yourself mixture of Mod Podge and an assortment of shimmer, you can paint on a sheen that can be as subtle or as confident as you'd like. Decorate a playroom with a hint of sparkle, give a bathroom mirror a glimmering backdrop or rethink the space behind your bed. Either way, this project will make a statement that's totally fabulous. 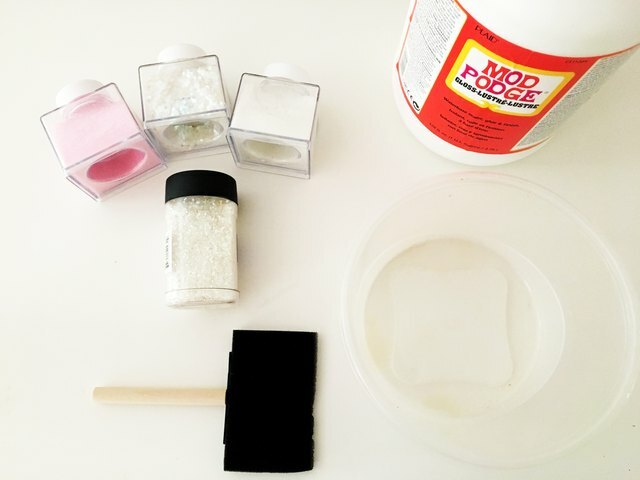 After giving your wall a base coat in your desired color and finish, mix the Mod Podge with the assorted sizes of glitter. For this project, the wall measured 8 1/2 feet x 17 feet. 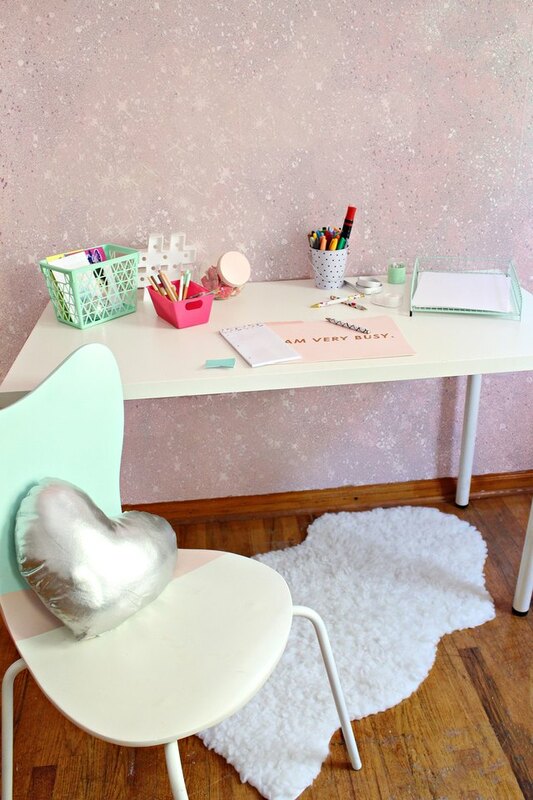 To cover the wall, approximately 1/2 gallon of Mod Podge and 40 ounces of glitter were used. 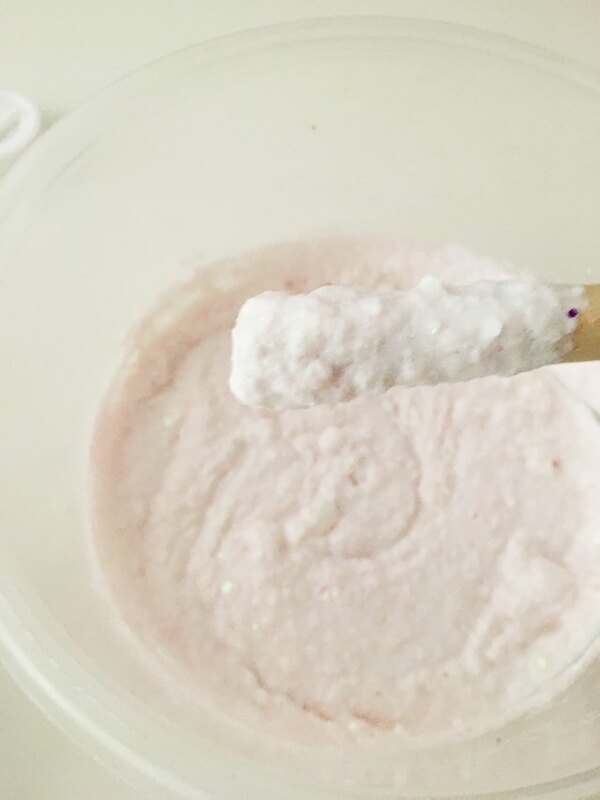 To begin, pour about a cup of Mod Podge into your container. You should work with about a cup at a time to make sure the mixture doesn't dry out. Next, add in the assortment of glitters. Then, use the handle of your brush to mix it all together. Continue to add as much glitter as you want. You really can't go wrong, since you can always add more coats. When it's ready, the mixture should be similar to cement — it should drip off your brush slowly. Before you begin painting, tape a plastic dropcloth to your floor to avoid any spills. 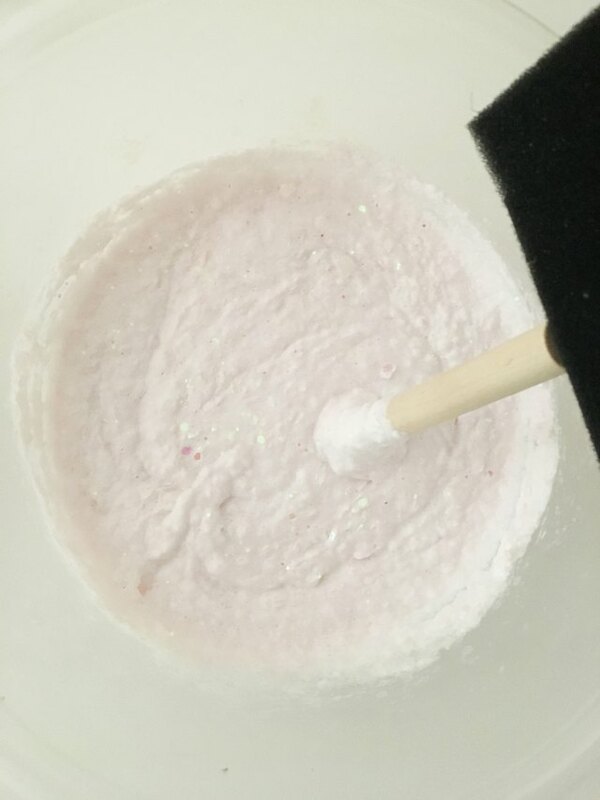 If you do drop glitter on the floor, wait for the mixture to dry, and then use a paint scraper to pick up the pieces. Any remaining drips can be cleaned up with a rag and warm, soapy water. 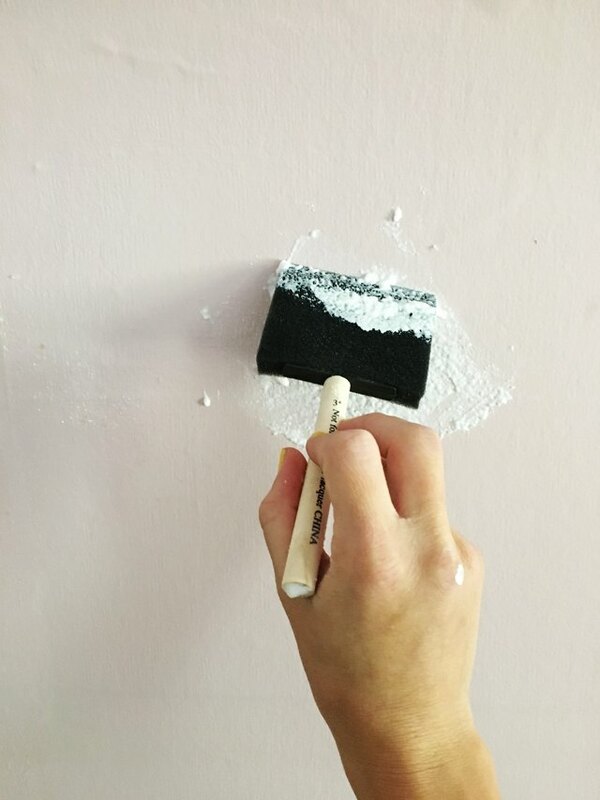 Using craft foam brushes, spread the mixture onto your prepared wall. Again, the great thing about this project is that it's very forgiving. You don't need to spread the mixture on perfectly, but it should be thick and free of clumps. 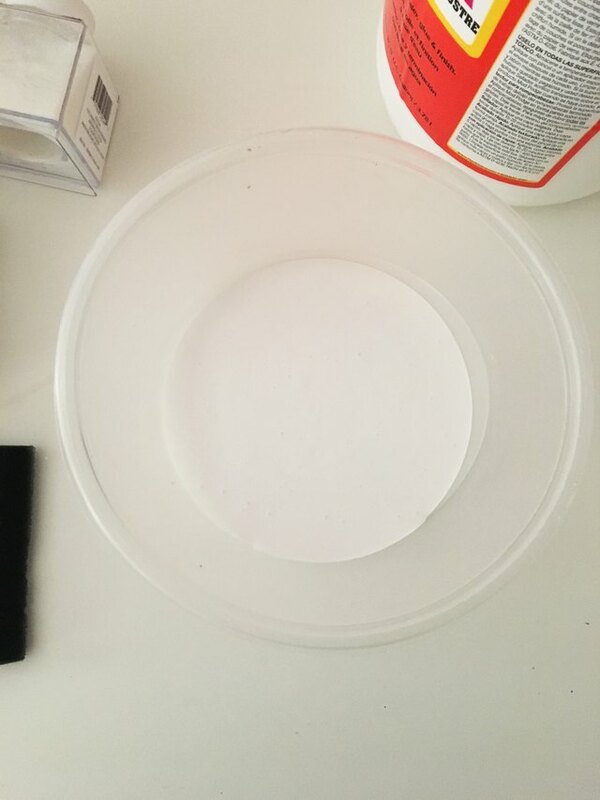 When you have applied an even layer, let the mixture dry. It will take about five hours for the coat to dry. 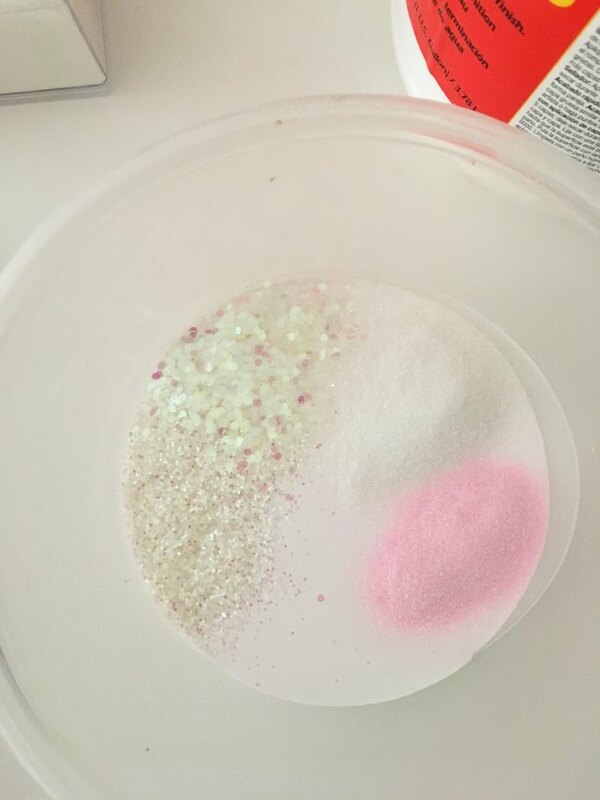 The mixture will be white when you first apply the coat, but when it dries, only the glitter will show. 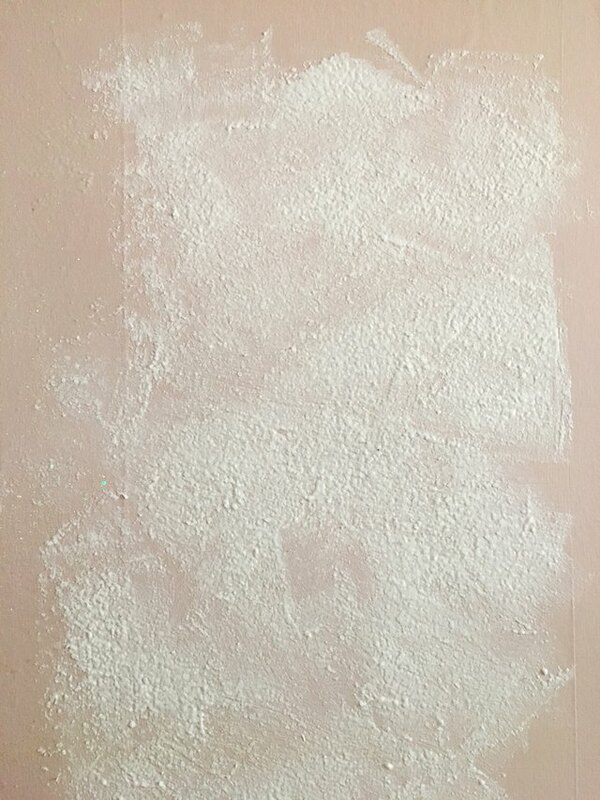 When the first coat has dried, go through and touch up any spots that don't look as full as others. 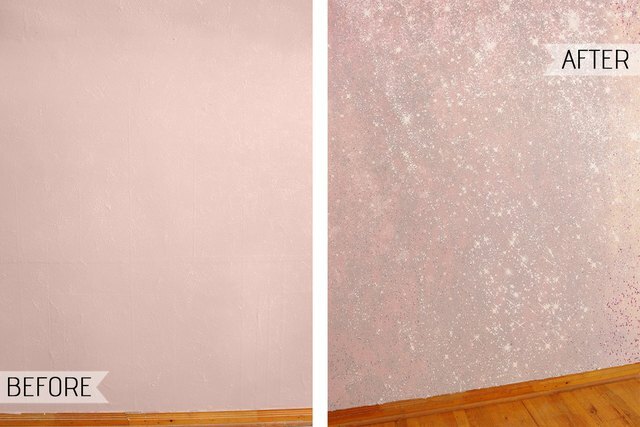 Create the same mixture as before, but make it slightly thinner for the second coat. Again, use a foam brush to brush it on and fill in the gaps.